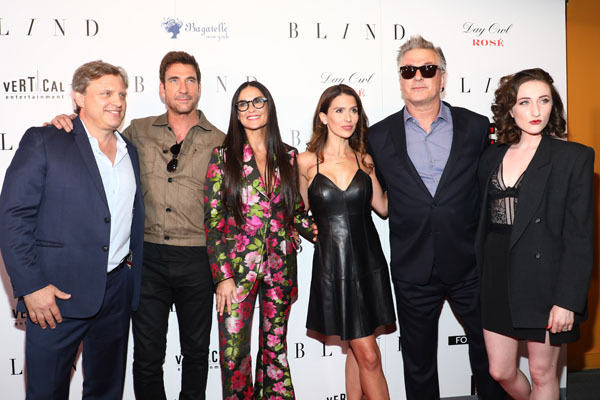 Last night, Demi Moore and Alec Baldwin joined famed director, Michael Mailer at the New York Film Premiere for “BLIND” presented by Casa Noble Tequila. 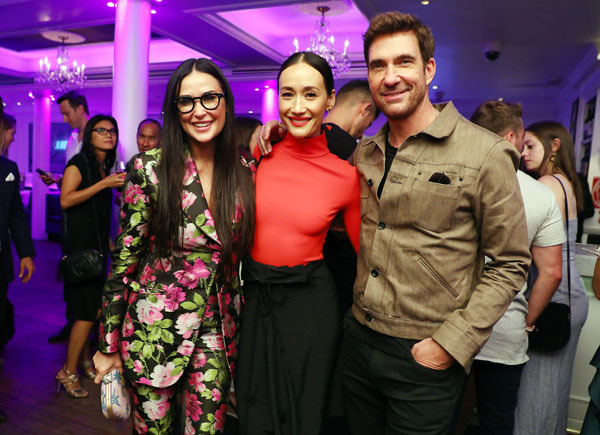 The leading stars were joined by co-stars Dylan McDermott, Eden Epstein, Drew Moerlein and writer, John Buffalo Mailer at the star-studded event. Cast and crew members Alec Baldwin (with his wife Hilaria), Demi Moore, Dylan McDermott and fiancée Maggie Q, Eden Epstein, Drew Moerlin, director Michael Mailer and writer John Buffalo Mailer were dressed in their best on the red carpet. Other guests included twin models TK and Cipriana Quann; Carmen Carrera; Jason Weintraub and Mercedes Gonzalez. In the film, a novelist blinded in a car crash (Alec Baldwin) that killed his wife rediscovers his passion for both life and writing when he embarks on an affair with the neglected wife (Demi Moore) of an indicted businessman (Dylan McDermott). Ironically, Baldwin braved the red carpet behind those Foster Grants because he was suffering from an eye infection and couldn’t attend the after party. 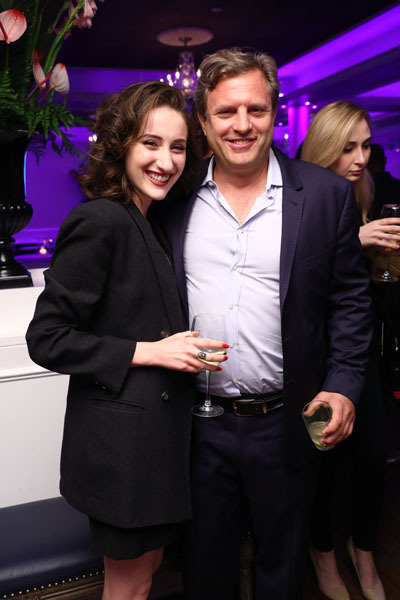 Celebrities, cast and crew converged on New York hot spot Bagatelle in the Meatpacking District following the premiere of director Michael Mailer’s latest film for Vertical Entertainment, BLIND. 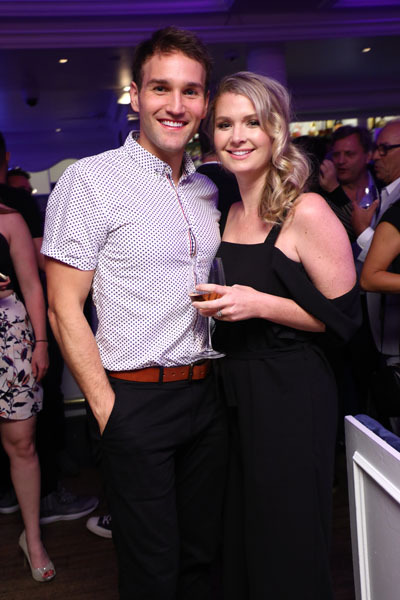 Guests enjoyed Bagatelle’s culinary creations, Line 39 and Day Owl wines and Essentia Water. 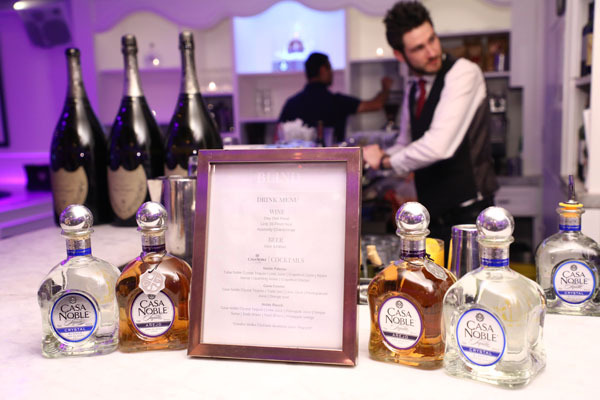 At the Bagatelle party, to get into the BLIND spirit, guests received Foster Grant sunglasses from an expansive eyewear booth, and sippedLine 39 and Day Owl wines and hydrated with Essentia Water and were regaled with performances by Ann Hampton Callaway andSasha Lazard. Some other notable guests that joined the red-carpet premiere and after party were Hilaria Baldwin, Ellen Burstyn, Kiera Chaplin, Todd & Megan DiCiurcio, Voula Duval, Prabal Gurung, Paul Haggis, Dave Karger, Chelsea Leyland, Dr. Mike, Bennett Miller, Teresa Moore, Drew Nieporent, Lawrence O’Donnell, and Nev Schulman. The event was generously sponsored by Bagatelle New York, Day Owl Rose, Foster Grant Sunglasses and Essentia Water.